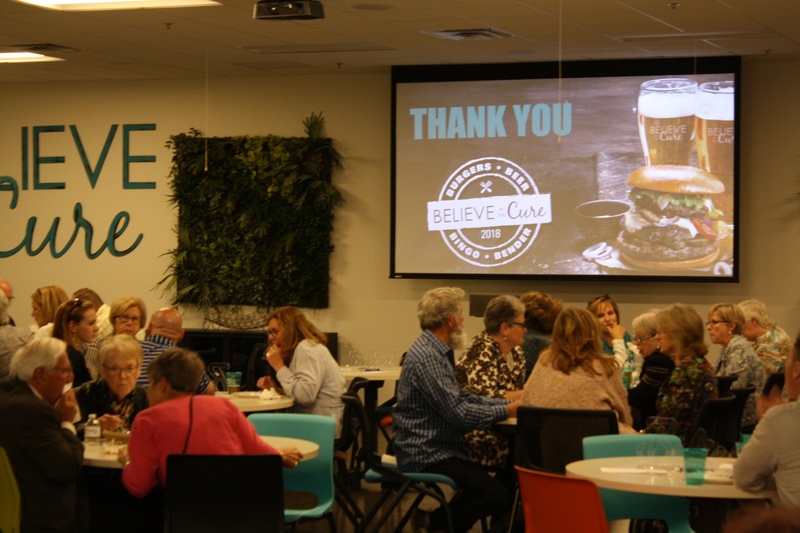 For a brief history on the Believe in the Cure initiative, you can check out last year's blog on the subject. 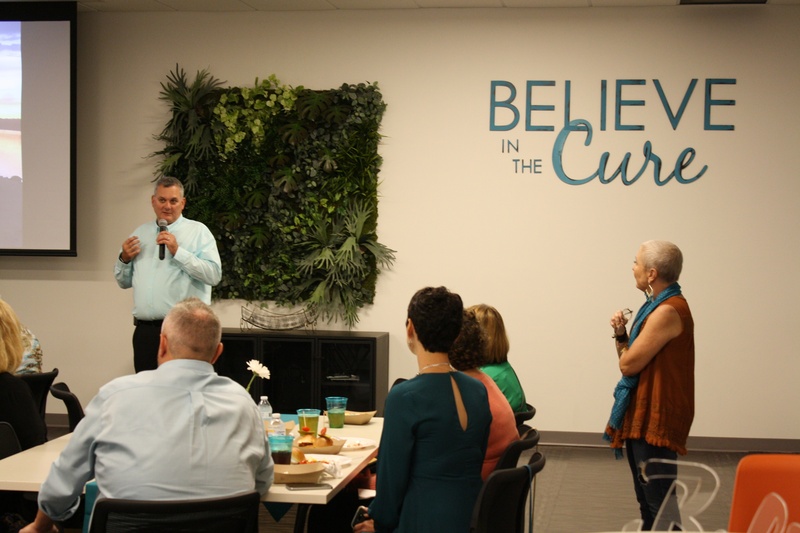 To summarize, the mission is to promote awareness of Ovarian Cancer and raise money for clinical research. Headed by Dr. David Bender, MD, the Ovarian Cancer Program at University of Iowa Hospitals & Clinics (UIHC) has teams with expertise in clinical, laboratory, and population-based research. Who better to host an event of such magnitude than Phil & Jane? 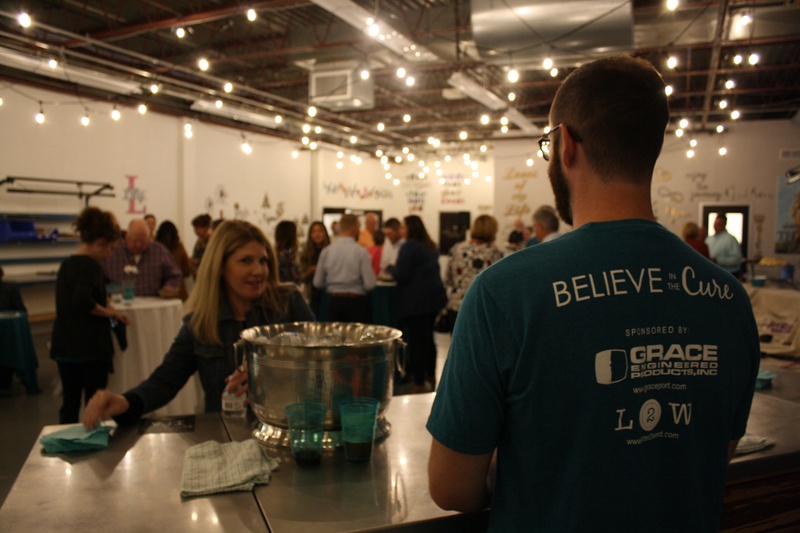 There's so much to pull off and coordinate that it wouldn't be possible without our team of unsung heroes here at Grace with all hands on deck. The ability to make a fun and positive experience out of a very serious subject requires great finesse and loads of creativity. 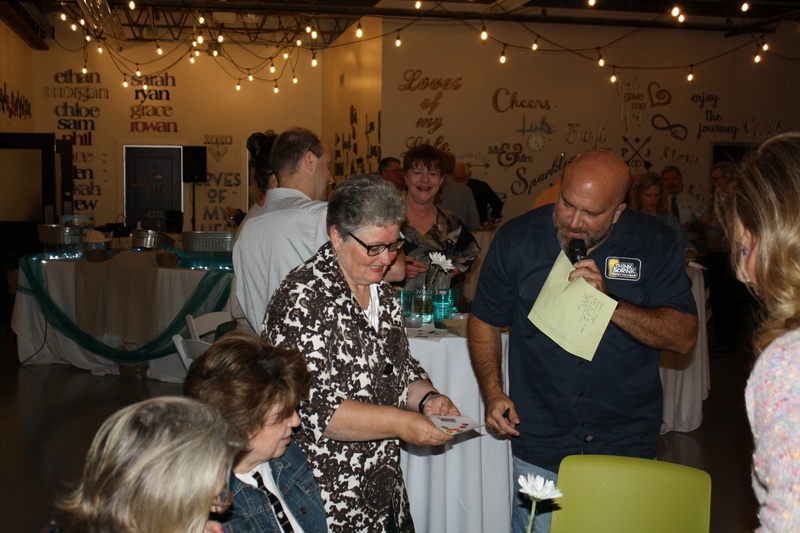 As people began to flood in, we kicked off the evening with Rockstar Bingo. I had no idea this was a thing, but I now understand why the DJ is so popular and very difficult to book. Everybody gets a sheet of paper, only instead of numbers you receive a random assortment of song titles from classic rock to Katy Perry. The DJ plays a section of each song and you have to guess the title. The first few lucky people to cross five in a row won Believe in the Cure embroidered and insulated wine bags complete with two bottles of wine! 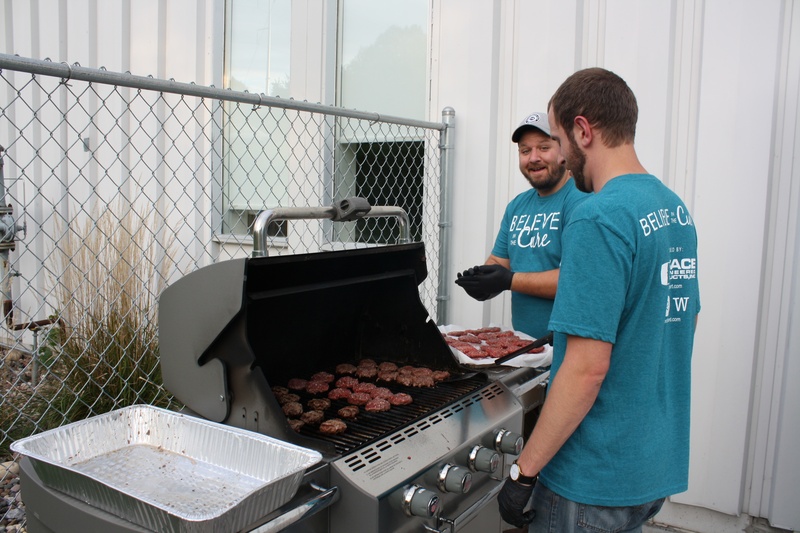 Burgers were prepared and drinks were poured by our volunteers from Grace and Letter2Word. The building was packed and everything seemed to be executed without a hitch with no shortage of sliders and beer! 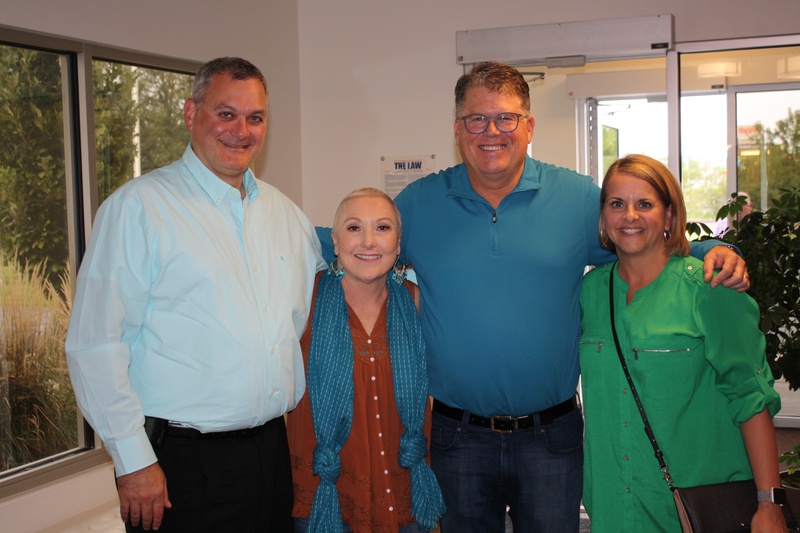 Jane gave a heartwarming, inspiring, and at times humorous speech regarding her journey to Victory and why she Believes in the Cure with Dr. Bender. He followed her by introducing himself and his role as Director of Minimally Invasive Robotic Surgery at UIHC. 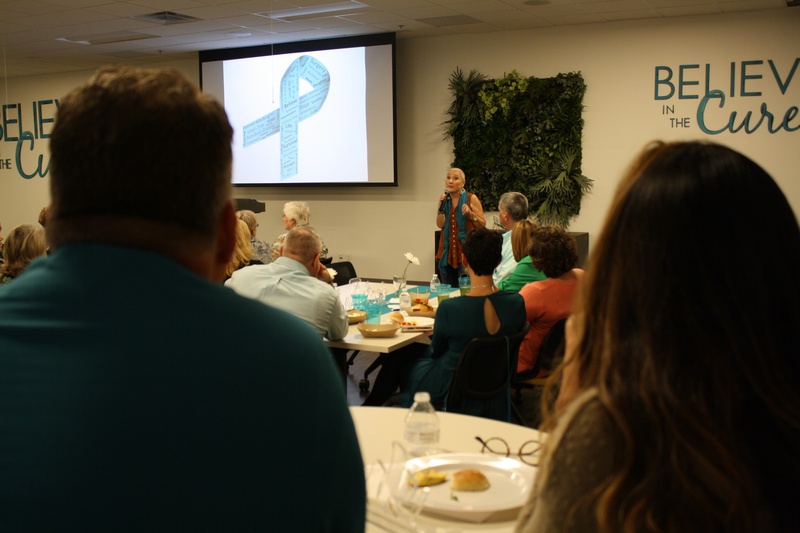 They covered everything from personal experiences, early detection methods (such as the BEAT test), and why support in this endeavor is more important than ever. 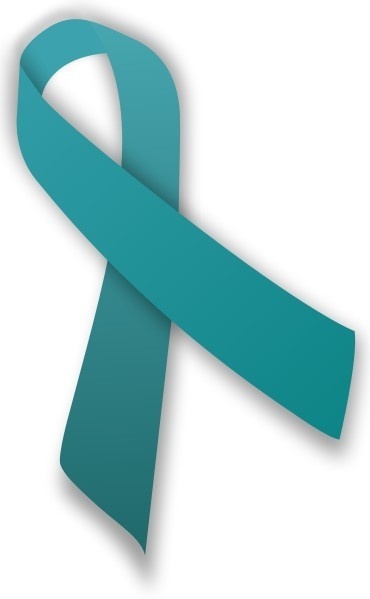 "Our recent research efforts are directed at identifying genes that are pivotal in the initiation and maintenance of ovarian cancer. We have models to identify potential driver mutations that cause ovarian tumor growth and hope to identify genes as a therapeutic target to improve ovarian cancer therapy." Upon closing, Phil and Jane had the final word praising Dr. Bender and his research team's work one last time and thanking everyone for coming out. Finally, desserts were served capping off a very successful and memorable evening. I'm already looking forward to next year's event! 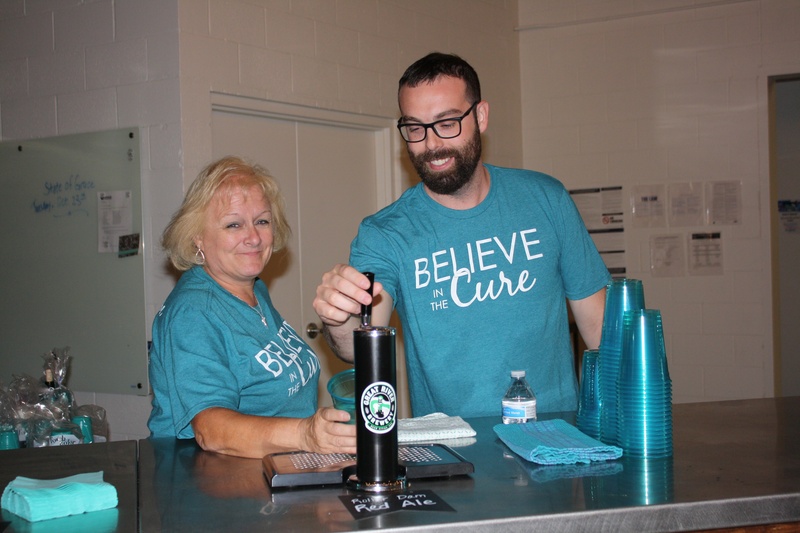 In the meantime, you can follow and donate through the new Believe in the Cure Facebook page where we'll be posting more photos from the event as well as sharing important information regarding Ovarian Cancer. 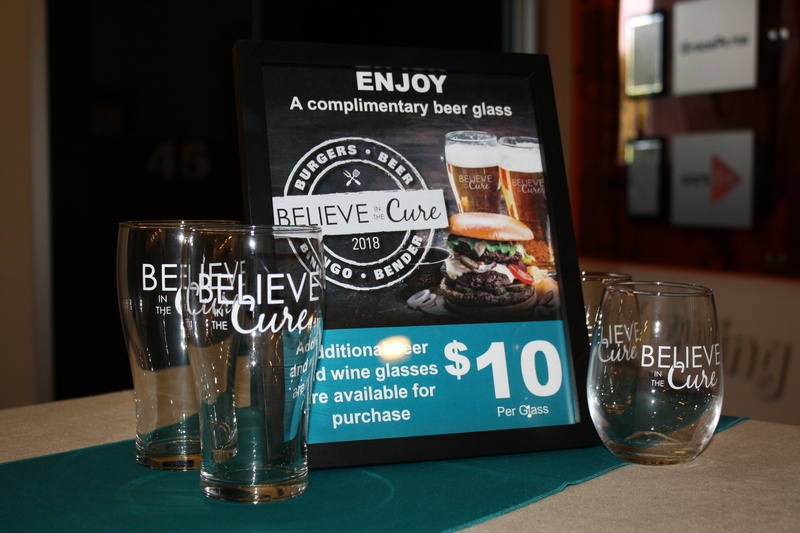 Contact me if you are interested in purchasing a 'Believe' beer or wine glass for just $10 with all proceeds going towards Ovarian Cancer Research at UIHC. Alternatively, you may click below to Donate directly.